Ladies and gentlemen: The Coconut has landed! - Coconut Bob aka RJ has arrived! 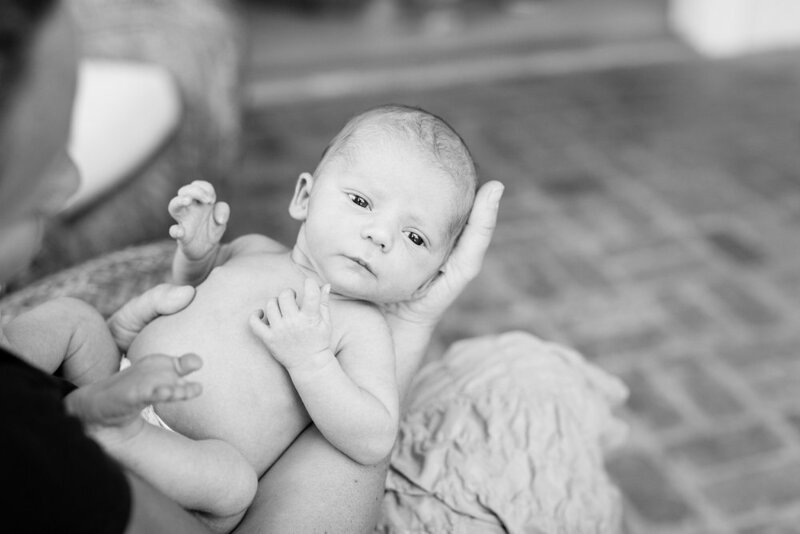 I was battling cheek cramps during this sweet family's lifestyle newborn shoot, at their home in San Diego, CA. I guess you can add cheek cramping to the list of occupational hazards for this photographer- it's something I'm willing to deal with because smiling [even for hours at a time] and sharing in a family's joy of welcoming their baby into the world is totally worth it. Nurturing parents, doting grandparents, and even a sweet, protective big sister [Sandy the dog] surround baby RJ and keep him cared for and happy. In return he provides immeasurable amounts of bliss to everyone around him. I'm thankful to Joanna and Rob for allowing me to capture this special time in their lives. Soak up all the newborn cuddles guys- your son is beyond beautiful!